The term ‘Bangkok’ literary means ‘City of Angels’ in Thai, the national language of Thailand. In one side of this city, the gold-spired architecture of old Buddhist temples will keep you mesmerized, while on the other side the mega shopping mall will tempt you with its world famous brands. The visitors may enjoy the view of Thailand from the roof-top restaurants of the skyscrapers, or they can grab the local fast food from the roadside shops. It is believed that, until and unless you have tasted the noodles from the Streets of Bangkok, you haven’t had tasted the original Thai food. This Metropolitan city projects different kinds of personality in one go. Here, in the very street of this amazing city, you can have a glimpse of the life and culture of this amazing city. The people of this city love to smile and celebrate or have unlimited fun (sà-nùk in Thai) throughout the day, which they share with their visitors. Through a leisurely ride on the specially crafted boats of the Royal River, you can get a glance of this beautiful city from the waterfront. No matter what time of the year it is, you can truly have a diverse experience in this city. The city of Angels cannot be imagined without its beautiful temples. The beautifully crafted Buddhist temples are in a way the trademark of this beautiful city. 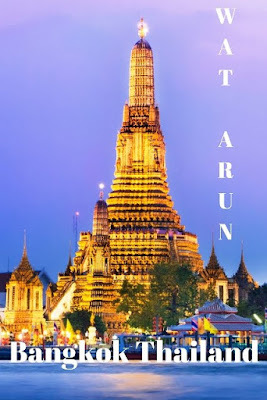 The two most important temples are Wat Arun and Wat Pho. 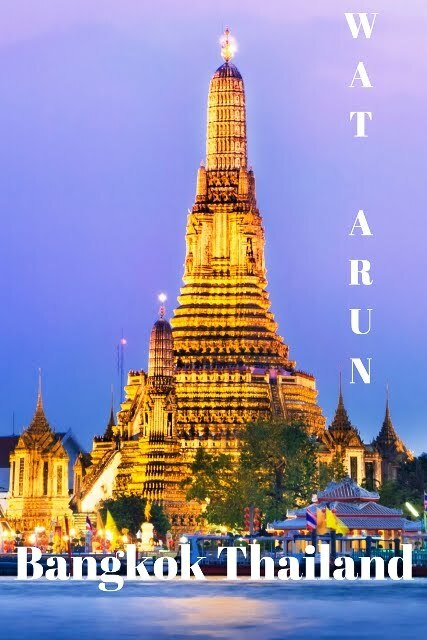 Wat Arun is the more popular amongst the two. It is originally the temple of dawn, situated on the bank of river Chao Phraya. This temple is named after the Hindu god, Aruna. Through the ferry across the river, it is connected with the rest of the city. At the night, the light of this temple cast an amazing golden glow. This is a whole complex of temples situated in the middle of the center of Bangkok. The temple of Emerald Buddha is situated in this complex, which is the most important statue of Buddha in Thailand. The Grand Palace of Thailand is situated in the complex. 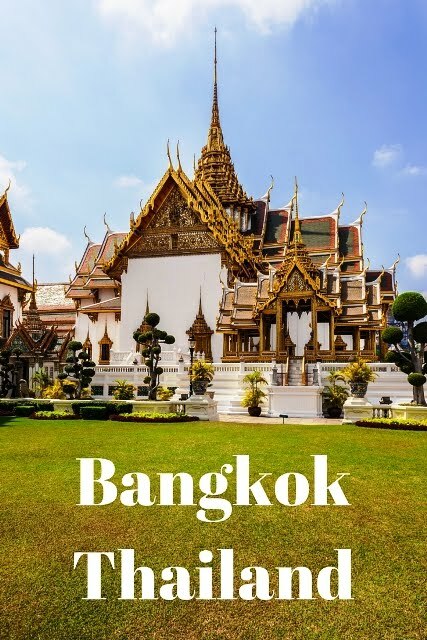 The Wat Pho is situated nearby, which boosts the largest reclining Buddha image of the world. Like its name, these arrays of buildings can be described as grandest of the grand. Actually a whole historical complex, it holds the amazing architectural structures. This was the home of Kings of Siam since 1782. Though the present king doesn’t live here at this time, the Royal ceremonies are held in this place at different times of a year. The various free guided tours are available in this place to provide the visitors more insight of this place. To know about Thai arts and history, what will be better than the museums? The largest museum of Southeast Asia is Bangkok National Museum. To get an insight of the history and another background of Thailand, this museum is the best. This river flows through the heart of this city. If you get tired of the endless crowd of this city, you can take a leisurely ride through this river. The private boats can also be rented for visiting the famous landmarks or the canals. The best time to take a ride most probably during the sundown, while the light of the day dims and the temples and the skyscrapers start to get enlighten by the electricity. The beauty of this city is completely different and unique from the waterfront. Away from the hustle-bustle of the crowded city, this largest public park of the city can provide you lots of greenery and peace. In 1920’s, while the park was established, then this total place was outskirt of the city. Now it is swallowed by the total modern city. It now claims the honor of being situated in the heart of the main business district. Jim Thompson was an American businessman who established a silk company in Bangkok. After his disappearance in 1967, his authentic house is turned into a museum. The mixture of Western architecture with the traditional Thai one is the specialty of this amazing villa. After a total day exhausting trip to this lively city, this museum can be a place for relaxation for all the travelers. Your trip cannot be completed without spending some money in shopping at Bangkok. Though there are lots of markets along with the glittering shopping malls, the weekend market of Chatuchak is definitely the most important one. The one section of this market called Jatujak Plaza, which is normally open throughout the week while most of the other parts are only open during the weekend. The specialty of this place is you can get anything and everything in this market, at a very affordable price. With the shopping, the local food from the carts is also a must try. Basically, the most important pull of this city is the vibrant lifestyle combined with playfulness and charm. This normally enchants the travelers even they cannot understand the local language.